Georgia has been the location for hundreds of feature films, commercials, and music videos, along with television movies, series, and specials. Here is 5 films and television shows that Macon has served as the backdrop. 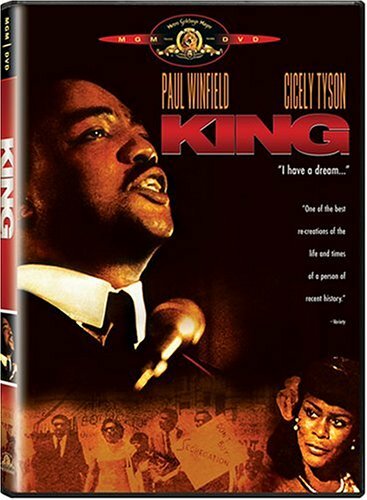 King is a 1978 American television miniseries based on the life of Dr. Martin Luther King, Jr., the American civil rights leader and 1964 Nobel Laureate. It aired for three consecutive nights on NBC from February 12 through 14, 1978. Filming in Macon for King took place in 1977. Union detective Allan Pinkerton falls in love with an aristocrat caught spying for the Confederacy in The Rose and The Jackal; which was shot throughout Macon in 1989. Based on Oscar®, Pulitzer Prize, and Emmy Award winning author Horton Foote’s Tony Award nominated play, The Trip to Bountiful was filmed in Macon in 2013 and is a courageous and moving story of liberation, as well as a humor-filled celebration of the human spirit. Sally Jessy Raphael was an American talk show host known for her eponymous talk show program Sally, which she hosted for two decades, and for the bright red oversized eyeglasses she wears in all public appearances. The Sally Jessy Raphael Show taped one show in Macon in 1990 at the Macon City Auditorium. Oprah's Favorite Things was an annual segment that appeared on The Oprah Winfrey Show. Winfrey shared products with her audience that she felt were noteworthy or that would make a great gift. In addition, the audience members that were present during the taping of the episode receive items from that year's list for free. The Oprah Winfrey Show filmed on location at the Macon City Auditorium on November 17, 2007.